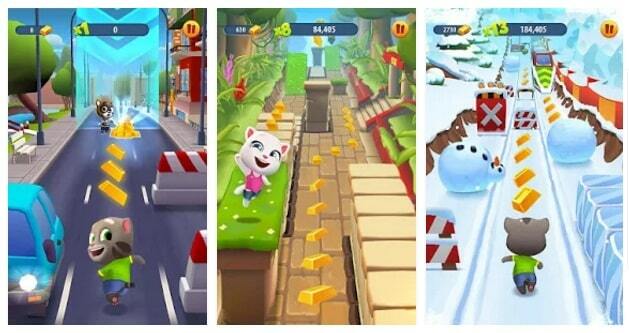 Talking Tom Gold Run is an android and iOS game designed by mobile game gurus- Outfit7. 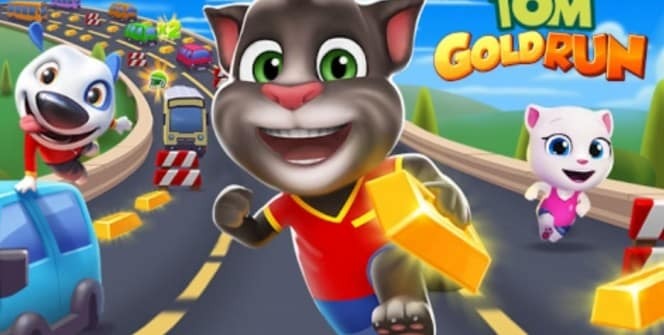 The endless runner is based on the Talking Tom franchise, and expects you to chase down a robber while collecting gold and avoiding various obstacles. With an android emulator, you can enjoy this action game on your PC. The game is equipped with excellent features, has an awesome gameplay and offers exciting rewards. Epic Run & Adventurous Gold Collection Ways. The routes are full of obstacles (such as vehicles and water pools) that you have to escape to avoid losing the game. Sometimes you will have little time to decide on which routes to follow, especially when you are moving at a supersonic speed. The game allows you to jump into the air, perform double jumps and move in mid air. When you hit an obstacle, the game comes to an end. But there are many unlimited lives and dynamite to start another game. In order to minimize accidents and play your game for a longer time, use a football helmet. When it comes to gold collecting, you need to gather these valuables in the initial stages of the game or when you are moving at a low speed. The game offers you a number of things to help you collect enough gold. There is a 2x multiplier which increases gold intake, and also an airplane that you can ride to collect extra gold. A Wide Range of Powerups to help you in the Chase. Talking Tom Gold Run offers you boosters such as 2x gold bars, 2x score, a rocket and a helmet. As mentioned above, the helmet protects you from worse effects of obstacles. The other powerups, except the 2x score, are designed to boost your gold intake. Some powerups are more beneficial than others, so ensure you collect the ones that can help you. You will be tempted to follow unsafe routes that have powerups and end up losing the game early. So weigh between taking safe routes & staying in the game and following powerups & getting knocked out early. This is possible with leveling up. Move up from one level to another and experience new environmental hazards that require different runner mechanisms. As you level up, you will come across routes with more cars, buses and water pools that you have to jump over to survive. There are many ways to earn bonuses on Talking Tom Gold Run. You can use gold to buy vaults which come with plenty of bonuses such as dynamite, currencies and even extra gold. The vaults are also available for free after every 8 hours. Some more bonuses can be earned through watching videos. Tap on parcels that fall from the sky and you will be able to watch videos. All the bonuses are good for boosting your abilities. Talking Tom Gold Run for PC. This is a mobile game, but it can easily be played on a laptop or desktop. If you want to enjoy a bigger display and better controls, you can download and install the game app on your PC with the help of an android emulator. Sometimes when playing Talking Tom Gold Run, bluestacks ask you fee to pay but gives you option to download some apps. Every time it asks you just select “Install apps” and continue using it free. I hope you enjoyed this guide, please rate and share. 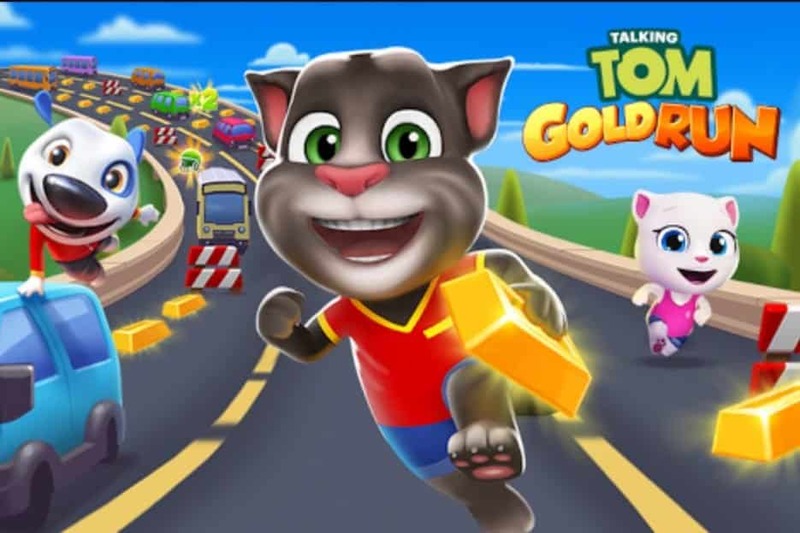 If you have problems running Talking Tom Gold Run on desktop or any other issues, leave a comment below.